These amazing posters are some of the best I’ve ever seen and can’t wait to see them in person. 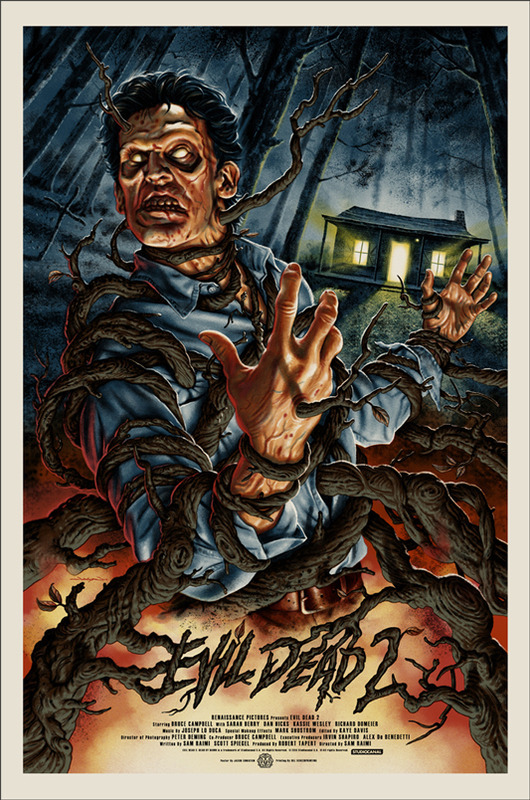 I only hope that in the future Mondo will release vinyl soundtracks for the original ‘Evil Dead‘ and ‘Army of Darkness‘. Best to all of you tomorrow. These posters are KICKASS! 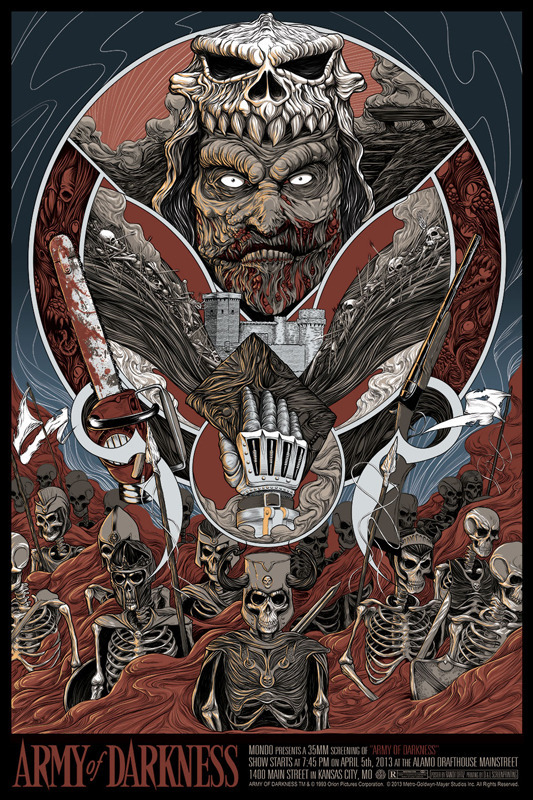 Per Mondo: We’ve gotten quite a few e-mails asking about the remaining copies of ARMY OF DARKNESS by Randy Ortiz from the Kansas City screening back in April. 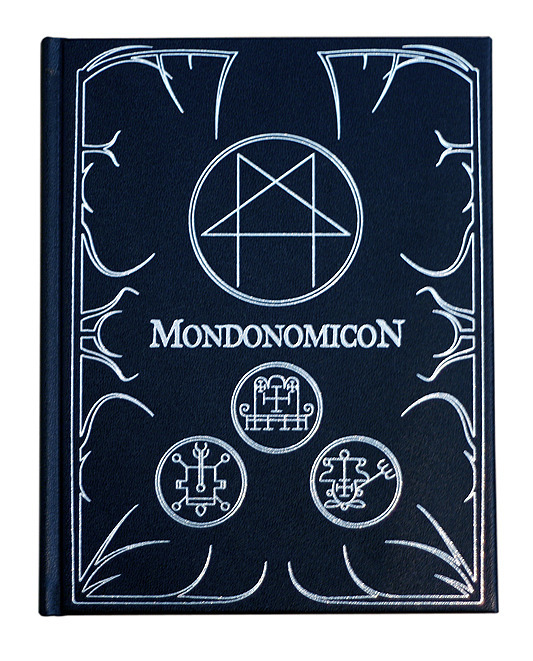 We are excited to announce that we will be releasing them tomorrow wiht a few similarly themed companions. Please follow us on Twitter for the on sale announcement. These posters and the Mondonomicon will be available online at a random time on Thursday, May 9th. This entry was posted on Wednesday, May 8th, 2013 at 2:28 pm	and is filed under Art, Events, Film, News. You can follow any responses to this entry through the RSS 2.0 feed. You can skip to the end and leave a response. Pinging is currently not allowed.